This is winter, the LS6 is now grounded and is waiting in the worshop to be fully checked. Now the car has a friend in the garage ! Slope flying with the LS6 at "La Montagne Noire"
I had the opportunity to fly some old timer sailplane from APPARAT group. this was a big time for me, as I have mainly flown fiber ships ! First was french Breguet 905 "Fauvette". 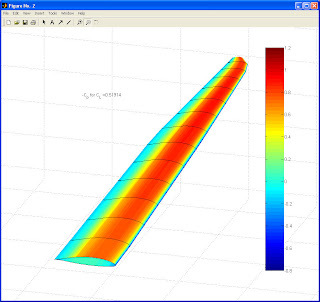 This is a V-tail, 15m wooden sailplane. Very light to handle, the V-tail mixer is at first surprising, but once used to it you hardly notice it ! 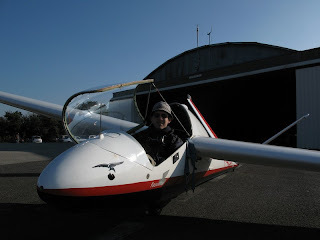 Then I had the chance to fly the Slingsby T-21 with Julien. This is a british side-by-side twin seater. Aerotowing is a big story, as you fly far too quickly for this old lady ! 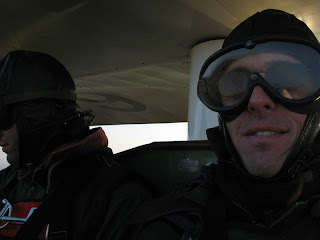 Once free, flying at 60kph it is much more bearable to have the head out ! Publishing on the Internet takes time, so that very often I have not the courage to create new pages. On the other hand, with the developpement of blogs, it is now possible to very quickly edit information. After 10 years with a classical website, I will try with this blog format. 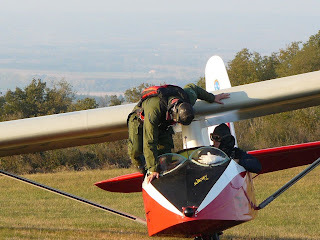 I hope I will then be able to update this blog more often than my web page, and to keep you interested with my sailplane adventures !